Are you worried about your child’s weight? According to Healthdirect, many children and infants tend to look plump, so you likely have nothing to worry about. But as a parent, it’s hard to just wave away concern for your child, no matter how minor it might seem. One way you can determine if your worry should be taken more seriously is to check your child’s body mass index (BMI for short). This measurement tool divides a person’s weight in kilograms by the square of their height in meters, and the result will place a person within a certain percentile range. If your child happens to be in the 95th percentile or greater, then it is likely they are obese. 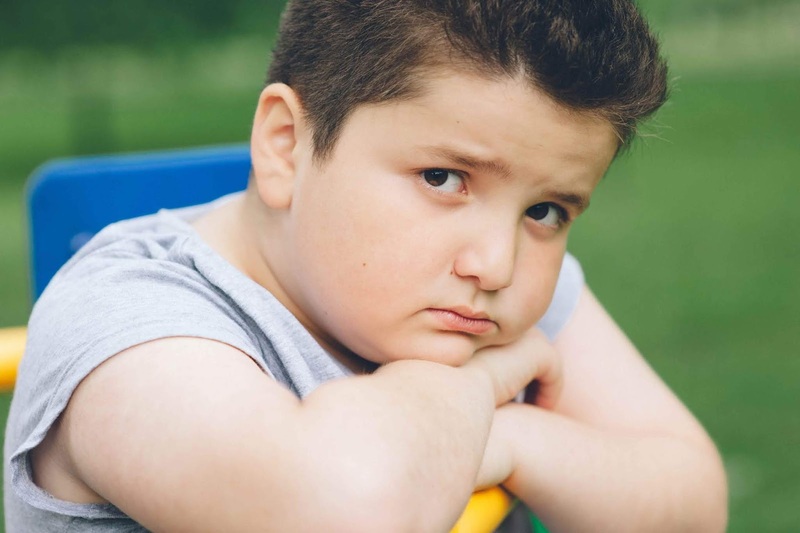 However, the BMI does not measure body fat directly, so for a professional appraisal of your child’s condition, consider consulting a physician. Now, the physician may see your child as perfectly fit and healthy. And if so, that’s great! But if not, and your dreaded fear has become a reality, then here are a few tips to help your child deal with obesity. Children need at least an hour of physical activity every day. Without exercise, children are prone to a number of health risks. Some of these risks include the loss of muscle strength and endurance, weaker bones, and a poor immune system. But we know how tough it can be to avoid these problems, especially when your child has a preference for inactive hobbies, such as playing video games and watching cartoons. To make physical activity less of a chore to your child, break those 60 minutes of exercise into smaller parts throughout the day. And if you can turn it into a parent-child bonding time over bicycling, playing sports, or some other activity, you’re sure to find your child more enthusiastic about getting out and about. One of the easier ways you can help your child deal with obesity is through your mealtimes. With the correct amount of foods, such as protein, grains, fruits, and vegetables, your child will gain a number of benefits. Some of these include being better able to maintain a healthy weight, avoid the risk of chronic diseases, and boost your overall health. You can encourage your child to eat healthier by acting as their role model. Children are quick learners and tend to develop habits from the actions they see their parents take. That means you should make sure that you both try to limit eating excessive sugary and fatty foods and focus on consuming water and healthy foods. Even with the best of plans and intentions, you may find that your physical fitness plan is still not quite working out for your child. It may be time then to consult a physician for a different plan of attack. If your child is of 18 years or over, then they may be eligible for pharmaceutical assistance from an Orlistat prescription. In combination with a low-calorie, low-fat diet and exercise, this pharmaceutical can help your child from gaining the weight they struggled so hard to lose. To make this assistance easier on your wallet, you might want to consider a resource like Rx Connected. This site can connect you to licensed international and Canadian pharmacies that will be able to offer you and your child a prescription that is more affordable than you might find elsewhere in the United States. Throughout all this, you’re likely dealing with non-stop worry about your child. No parent wants their child to have anything but happy, healthy childhood. But keep in mind that your child is likely just as worried as you are. Their mental health is just as important as their physical health, so don’t forget to make your chosen fitness plan encouraging and positive as you two work towards a healthier life.